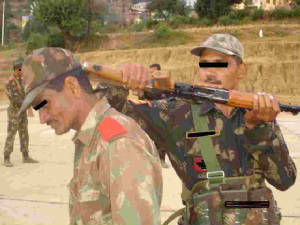 LEARN FROM THOSE WHO TRAIN THE INDIAN FORCES! 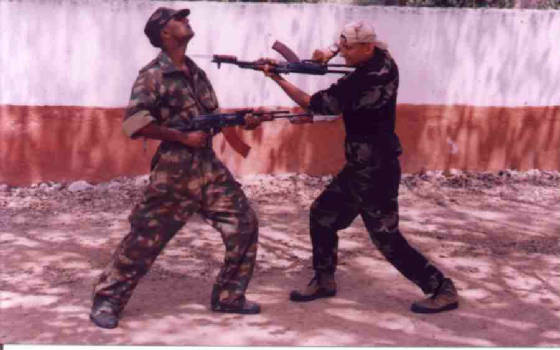 Krav Maga training has already been imparted by us to over 100 personnel of the INDIAN ARMY : Ghatak Commando Team of Mounta in Di vison for protecting the Indian soil & fighting Terrorism. 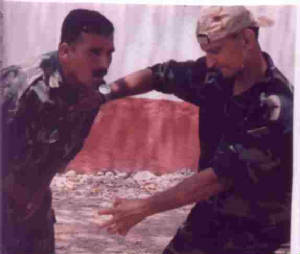 The version used to train the Indian forces is Krav Maga Mortal Kombat, the Military Offensive Version. Now Krav Maga Mortal Kombat Martial Arts skills are available for the first time in India at Mumbai at the world famous UCCA. WE ARE THE PIONEERS OF KRAV MAGA MORTAL KOMBAT IN INDIA. 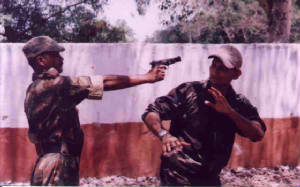 WE RUN KRAV MAGA INSTRUCTOR COURSES FOR STUDENTS ALL OVER INDIA. NOW KRAV MAGA MORTAL KOMBAT IS AVAILABLE TO CIVILIANS. Krav Maga, like Kick boxing is becoming very popular because of extensive press cover. Hence every other martial artist now claims to be a Krav Maga expert without any knowledge of it. So it is important that you donot blindly join any institute rest you may end up learning routine kickboxing & believe it is Krav Maga. Krav Maga is a DEFENSIVE Art developed for Street Self Defense. All Military arts are essentially OFFENSIVE in Nature. 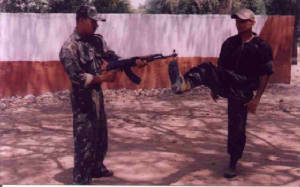 The UCCA specializes in imparting combat training to Indian forces. The Krav Maga Mortal Kombat course at UCCA has additional Military Aggressive techniques to it. We issue course CERTIFICATES to successful participants. These are endorsed by UCCA. UCCA is the premier military martial arts center in the world with 22 International Instructors in all continents. UCCA carefully screens its applicants & enrolls select serious non criminal students. Call us today to schedule an appointment. Check out our Newly Started WEEKEND INSTRUCTOR Course ! Course will help you to start an Independent career as one of the few certified Krav Maga Instructor in any health club as well as teach private clients. 4 weekends Sat & Sun 2hours each day. Begins Every Month from first weekend. l) First Aid & CPR. Authorization to start teaching Krav Maga. Special Short Instructor Crash Courses for those outside Mumbai, Intensive 3 hours daily for 5 days each for, CIC-1 & CIC-2. You can represent us in your Region and start a fresh career in the most happening Fitness Revolution..
Krav Maga (Hebrew קרב מגע: "close combat") is a Self Defense and Military Combat System. It got world wide popularity after it was adopted by various Israeli Military services; now also in use by the Special Forces of other countries. The version of Krav Maga taught to civilians is more often a simplified version that emphasizes Personal self-defense in a variety of situations common in todays unpredictable world. Now learn Krav Maga skills at the UCCA, The world renowned Unarmed Commando Combat Academy, whose Directors specialize in training the Indian Forces in Close Quarter Battle as Guest Trainers. UCCA combines its extensive experience in military martial arts in designing the 3 month BASIC & 3 month ADVANCED INSTRUCTORS 'Krav Maga Mortal Kombat' courses. It is a hands on UCCA certified course of 3 months duration. 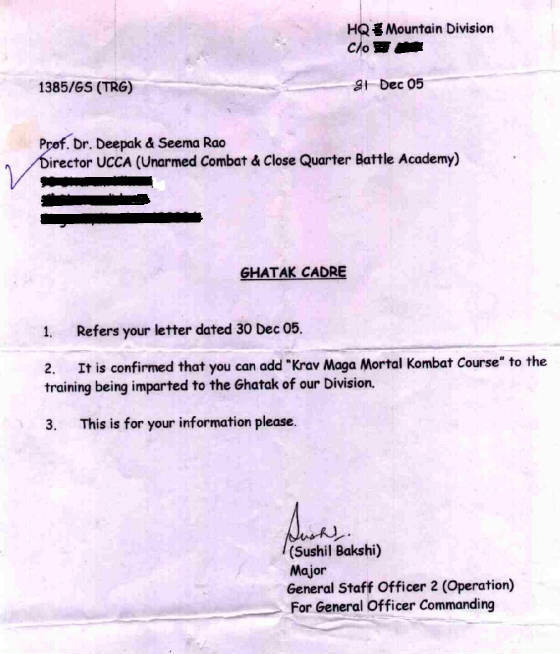 The Krav Maga Mortal Kombat Training got so popular that The Indian A r m y Ghatak Commando Team of Mou ntain Di vi sion invited Dr. Seema to train their 107 - Officers & Other Ranks. Learn to Defend urself against any threat, Gain immense Self Confidence & Change ur Personality forever ! "Jab his eyes, rip his groin, Kick him in the balls, break his knees & rip his heart out!" See below Dr. Seema defends against a Bear hug, Knife stab, firearm threat & Ground pin using KMMK techniques.